A unique opportunity for Millennials and the upcoming Generation Z peer group. Where to risk it all in exchange for huge monetary rewards in the future of influencer marketing. Increase productivity to make it easier for influencers to generate more profits from their followers. 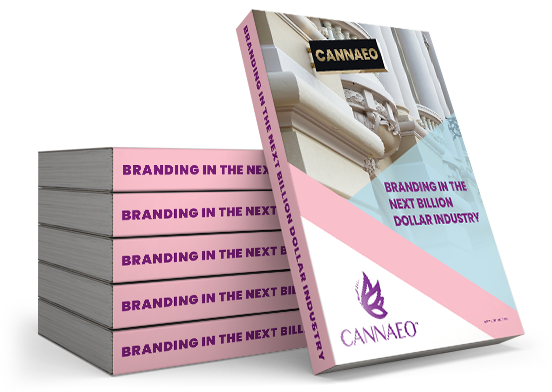 CANNAEO BRANDS IS NOT A BROKER-DEALER NOR A FIRM THAT ACCEPT COMMISSIONS FROM COMPLETED TRANSACTIONS BETWEEN THE ISSUER AND SUBSCRIBER. CANNAEO BRANDS IS COLLECTING INFORMATION FOR THE OPT-IN PURPOSE OF GRANTING US PERMISSION TO SEND NEWSLETTERS, INVITATIONS AND EVENT DETAILS THAT PERTAINS TO INFLUENCER MARKETING, SOCIAL MEDIA, PRIVATE LABELING, PRODUCT MANUFACTURING, SERVITUDE OF ENLIGHTENMENT, BRANDING, AND TALENT MANAGEMENT. INFORMATION ON THIS PAGE IS SUMMARY IN NATURE AND IS NOT AN OFFER TO INVEST. INFORMATION ON THIS SITE PERTAINING TO AN INVESTMENT IN A FUND IS QUALIFIED IN ITS ENTIRETY BY THE FUND'S OFFERING MATERIALS, WHICH SHOULD BE REVIEWED CAREFULLY PRIOR TO MAKING AN INVESTMENT DECISION. PLEASE REVIEW THE ISSUER'S OFFERING MEMORANDUM FOR FULL DETAILS REGARDING THE TERMS OF THE INVESTMENT, RISKS, MINIMUM INVESTMENT, FEES AND EXPENSES. CANNAEO BRANDS DOES CHARGE A RETAINER FEE FOR ITS SERVICES SUCH AS PRIVATE LABELING, INFLUENCER MARKETING, TALENT PLACEMENT, PACKAGING AND BRANDING CONSULTATION. © CANNAEO ALL RIGHTS RESERVED.